Join us and show solidarity for people living with kidney disease and their families. More than 1.7 million Australians are affected by kidney disease. It can strike the young or the old, and doesn’t discriminate. Not only does kidney disease take lives (53 lives in Australia every day, in fact), it also significantly reduces the quality of life of those suffering from it. Dialysis–where the blood is extracted and cleaned – can be required up to three or four times a week, and takes hours and hours at a time, which is incredibly disruptive and affects all aspects of the person’s life – both professionally and personally. 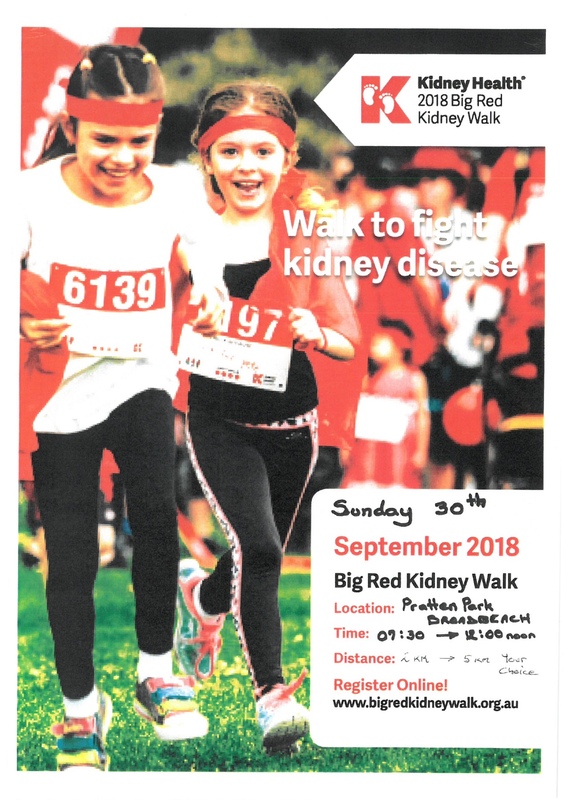 Every dollar raised goes towards Kidney Health Australia’s services, including Kidney Kids Camps, the Big Red Kidney Bus mobile dialysis service, the Kidney Transplant houses, the Kidney Helpline, and much more.